A goal of residential treatment is to establish an atmosphere that promotes trust. With access to movie theaters, shopping and gyms, you'll meet others in the recovery community. Reach your goal of recovery in an environment that is peaceful, friendly, and healing. Overcoming addictions, substance abuse or mental illness can be full of challenges and frustration. Fortunately, there are resources out there available to help you reach your goal. Solid Landings Behavioral Health offers gender-specific treatment programs that are specifically designed for both men and women. Our goal is to help you reach your goals of recovery by offering treatment and support tailored to your needs and circumstances, in an environment that is respectful, peaceful, friendly, and healing. Our innovative treatment programs, experienced therapists, and skilled support team are with you every step of the way. Our recovery advisors will be happy to discuss and answer any questions you may have about admissions to programs offered by Solid Landings Behavioral Health. Solid Landing Behavioral Health offers full-service treatment centers focused on bringing rehabilitation and healing to young men and women, with most clients’ ages ranging from 18-35 years old. Our trusted and confidential drug and alcohol rehab treatment programs provide an advanced approach to patient care and the utmost compassion and professionalism for all types of addiction or mental health disorder. Provides comprehensive alcohol and drug rehab programs, as well as co-occurring mental health issues. Our multidisciplinary approach addresses the biological, psychological, and social needs. Our integrated approach is designed to personally guide each patient through an array of health services spanning all levels of care, including medical detox, residential treatment, partial hospitalization, intensive outpatient, transitional living, and aftercare services. Our advanced approach to addiction treatment and drug treatment empowers individuals on the path to recovery. The pristine Pacific Ocean is just minutes away. 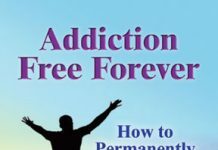 Develop friendships with others who share the pain of addiction and are learning to enjoy life—sober. By helping you identify and work on you strengths and liabilities, you become empowered to own sobriety.